DMG Designer Case for Samsung Galaxy J7 (2016), Protective Slim Fit Printed Back Cover for Samsung Galaxy J7 (2016) (Abstract Bokeh Background With Hearts) + USB OTG@1349 Rs [Mrp:-1799] - Onlinedeals.discount - A leading product discovery website. Find the true prices of products, read reviews and buy top brand products at reasonable prices. Personalized Designs: Stand out from the crowd and showcase what you feel, choose from a wide range of designs and patters that best suit your mood and personality. Full Protection: The printed case is designed to protect your Samsung Galaxy J7 (2016). Full four corner protection with the case protecting the edges makes sure that your phone is safe. Hard Back Case: Made of high grade polycarbonate material, the case is durable and long lasting. Every pattern is a high resolution image choosen by professionals. Wide variety of trendy patterns is available for every gender and generation. Package includes Micro USB to 2.0 USB OTG On-The-Go Host Adpater Cable which lets you connect your pen drive directly to your mobile or tablet. 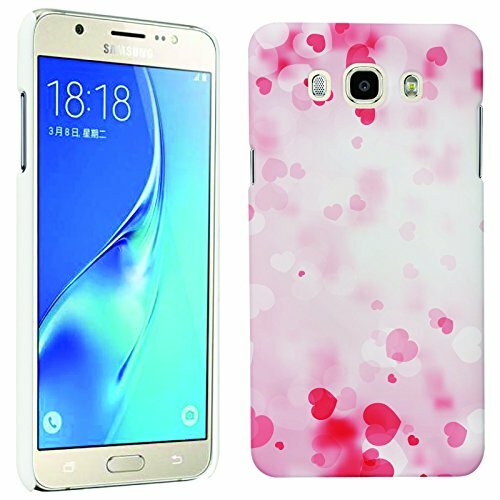 Solid casing couples with a durable, high-grade hard back case providing comprehensive protection; Printed Pattern Cover gives great grabbing feel for your Samsung Galaxy J7 (2016). We understand your love towards the most precious device you own. And we are equally passionate to build cases for them to extend your care towards them. Every pattern is a high resolution image choosen by professionals. Wide variety of trendy patterns is available for every gender and generation. Featuring all-corner protection, sides and a raised back cover to protect the screen. The DMG print pattern hybrid case is made to protect against life’s not-so-expected moments for your device. Package includes Micro USB to 2.0 USB OTG On-The-Go Host Adpater Cable which lets you connect your pen drive directly to your mobile or tablet.